The 2018 Annual Gala was a huge success. Thank you to everyone for your support. None of this would be possible without you. The village of La Union in Guatemala has undergone a meaningful shift in education, growth and involvement over the last 8+ years. Access Education has worked closely with partners and community members to not only change the lives of the people living in La Union but to transform the entire village itself. Watch the video on the right to learn more and find out how you can get involved. The School is located in the community of La Unión near the city of Coatepeque, Guatemala. Coatepeque is about 50 kilometers from the Mexican Border. l.
The school opened with 61 students and as of 2015 there were 300 students! 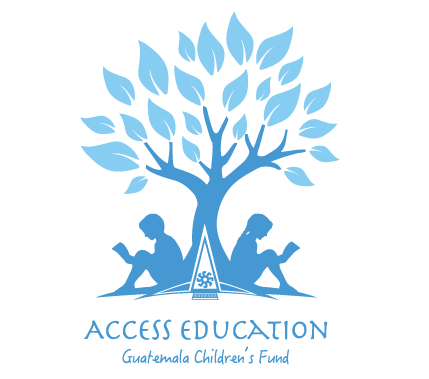 Access Education Guatemala Children's Fund annual Gala was a huge success. Thank you to everyone for helping us celebrate life and support our cause. Click HERE to see the videos from the Gala. Help make a difference in the lives of countless children and change the world at the same time.